Within the enchanting and captivating Meghalaya, lies an amazing wildlife that will certainly mesmerize every wildlife enthusiast. If you are a true nature lover and love to spot the beautiful wildlife species, then you should select a wildlife and nature trail of Meghalaya package. During the tour, you will explore various species of animals at the Baghmara Reserve and Balpakram National Park. Track the majestic tigers, witness rich population of animals and bask in the splendor of alluring nature. This wildlife tour package integrates the best of wild in Meghalaya along with some of the prominent tourist attractions across the awe-inspiring state. Upon arrival at Guwahati airport / railway station meet with our representative. After meet and greet we will leave for Baghmara reserve via Dudhnoi. Upon arrival at Baghmara town transfer to the hotel / guest house. Overnight stay at Baghmara. Today morning we will go on an exploration within the thick forest of Baghmara Reserve. It is situated just 04 km from the town. 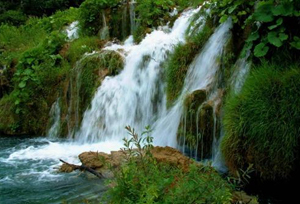 The naturally blessed Baghmara reserve is well famous for various types of plants and wildlife species. The langurs, the large cats, tigers, leopards, hoolock gibbons, Assamese macaque and orange bellied squirrels are among the mammals found in Baghmara. In Plants Lady's slipper and the pitcher plants are found in abound here which are not so common in other places of the nation. After visit return to the guest house. In the evening we will go on to visit nearby tribal visit. Overnight stay at Baghmara. This morning we will leave for Balpakram National Park another jewel in the Garo Hills. Balpakram is located further 50 km from the Baghmara reserve. During our journey to Balpakram we will be driving through the green vista and will be looking for wildlife on the way. Upon reaching at Balpakram check into the wildlife guest house. In the afternoon we will go for a short trekking around the reserve for wildlife viewing. Overnight stay at guest house. This morning we will go on a full day trekking inside the Balpakram National park with a naturalist and armed guide. Balpakram has an area of about 220 sq km and this area is home to a variety of wildlife mammals including tigers, elephants, bison, black bear, leopards, sambar deer, and some rarest species of the Lesser Panda or the Red Panda. 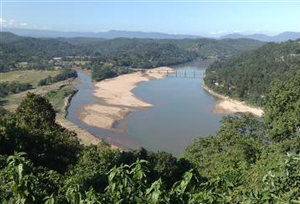 Balpakram and the Garo hills are also heaven for the birdwatchers and are classified as one of Meghalaya's important Bird's sites by the Indian bird conservation. More than 270 bird species have been recorded on these hills. The common sighted birds of the areas are black & jerdon's Baza, Mountain bamboo & white cheeked partridge, grey peacock, blyth's kingfisher, bay woodpecker, cuckoo, olive bulbul, eyebrowed wren babbler, white winged duck and the flavescent bulbul etc. Later return to resort for overnight stay. This morning we will leave for the capital city of Meghalaya - Shillong. 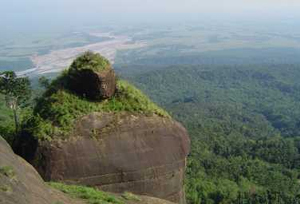 We will also visit the Shillong Peak, just 18 km before the city. The peak is situated at an altitude of 2000 mt and is the highest point in Meghalaya. The peak offers breathtaking bird's eye view of the city and the sprinkled villages nearby. The view from here is as mesmerizing in day time the night view is absolutely awe inspiring as the dwelling lights provide the ground below an aura of the night sky. Further continue drive to Shillong. Upon arrival check into the hotel in Shillong. Evening have a leisurely walk locally. Overnight stay at hotel. After an early breakfast leave for Cherrapunjee which is barely 65 kms from Shillong. It is the wettest destination in the world and on your drive to Cherrapunjee; you will come across roaring waterfalls diving into unfathomable gorges. Upon arrival check into the hotel. Early morning we will visit the cleanest village in India which is nearly 28 kms from Cherrapunjee and just close to the scenic villages; there are interesting sights like the living roots bridge and a beautiful sight boulder balancing on another rock. Later in the afternoon we will return back to resort. Evening spend at leisure. Overnight stay at resort. Morning after breakfast we will leave for Shillong, on our way back we will visit the Elephanta falls and Shillong peak enjoying some breath taking views. Upon arrival at Shillong we will transfer to the hotel. Overnight stay in Shillong.